The Central Lyon-George Little Rock wrestling team is Siouxland Conference dual meet and conference champions for the second year in a row! The boy’s basketball team has a record of 15-2 and is currently ranked third in the state in Class 1A. Teachers Joel Hoogland and Melia Towne are the recipients of a scholarship that includes a trip to Washington D.C. and additional study regarding the Holocaust. Once the temperatures rise, I hope you have an opportunity to visit our schools and attend our events. Please feel free to contact me at 712.475.3311, ext. 302, if you have any questions or concerns regarding our schools. Parenting is hard! Being a tween is hard! GLR families, learn how to better navigate these years by attending the Strengthening Families program at George Elementary School. 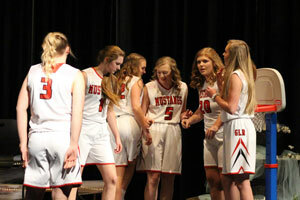 Events will be held from 5:30 to 8 p.m. at George Elementary on Feb. 28, March 7, March 12, March 18, March 26, April 4 and April 11. Feb. 2: Wrestling: Sectional Tournament, 12 to 5 p.m.
Feb. 4: FFA: Meeting 7 p.m.
Feb. 5: Wrestling: Regional Team Dual Tournament, 6 to 9 p.m.
Feb. 8: Wrestling: 7/8 Conference at Central Lyon, 5 to 8:30 p.m.
Feb. 9: Wrestling: District Meet, 12 to 4 p.m.
Feb. 21: Wrestling: CLGLR Banquet, 6 to 7 p.m.
Feb. 28: Strengthening Families program for ages 10-14 at George Elementary, 5:30 to 7:30 p.m.
Study anything that interests you and tell us what you learn about it. Try building something, composing something, creating something. Problem solve. Brainstorm. 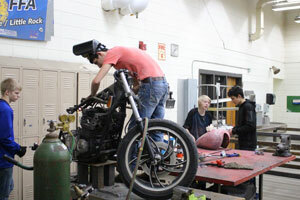 Those are the driving ideas of G-LR High School’s “Genius Week,” based on the Genius Hour educational movement. Genius Hour evolved after companies such as Google showed that when they gave their employees freedom to work on a passion project, innovations followed. Gmail? Google News? Both were created by staff during their 20% time devoted to passion projects. This year was G-LR’s fifth year running Genius Week right after the winter holidays. Students spent three days researching projects in teams of two to four or spent that time on a job shadow in a field of interest they could see themselves working in after graduation. Projects included trying to patent and sell a duck retrieval device; building a computer; composing music and studying elementary curriculum. There also were presentations on cattle, vehicles and personal safety. Students presented before faculty in various rooms on Jan. 8 and received a grade, which will count as a quarter credit for graduation so that after all four years, a full credit will be earned. Student-led Genius projects develop and assess students’ skills in critical thinking, collaboration, communication and creativity. 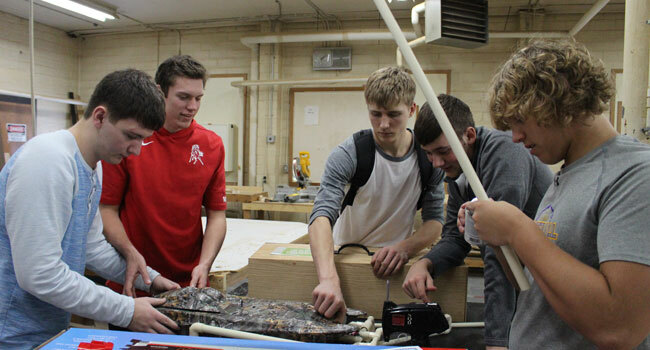 Photos include high school student teams working on a duck retrieval device, building a computer, composing music, demonstrating a personal safety maneuver and working on a motorcycle. The group photo shows students who did job shadows. G-LR Middle School social studies teacher Joel Hoogland and language arts and reading teacher Melia Towne each have received a $1,000 grant to attend the United States Holocaust Memorial Museum in Washington, D.C. this summer to continue their work with students on Holocaust perseverance units. Mr. Hoogland and Mrs. Towne have worked together for several years evolving their unit on perseverance. The unit focuses largely on the Holocaust and then ties in other genocides and survivor stories. Each student picks a Holocaust book at an appropriate level and does a book talk. 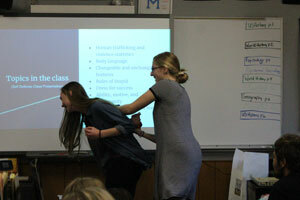 Students typically make a commercial or video portraying stories of survivors. Last year, the two teachers asked students to find a favorite quote from a book and create 3D art to illustrate the quote’s meaning. Students study inhumane acts of past and present and what people did and can do to overcome, persevere and survive. The past two years, Mr. Hoogland and Mrs. Towne have taken their students to Northwestern College in Orange City to see primary documents and artifacts from a local historian. Two years ago students toured a Anne Frank exhibit there. Last summer, Mr. Hoogland applied for and got the opportunity to participate in a class for history teachers held at a Chicago museum. Both teachers are excited to get to travel this summer to Washington, D.C. and will be picking new resources and ideas to bring back for social studies and language arts classes. Congratulations, Mr. Hoogland and Mrs. Towne, and thank you for your dedication! Thankfully, we were able to get almost all of Homecoming Week in before inclement weather canceled school on Friday! 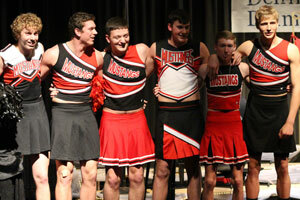 It was a great week with school spirit and fun activities. 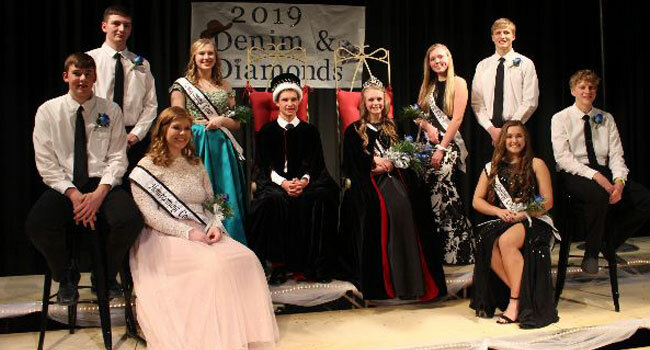 The 2019 Homecoming Court included King and Queen Joe Anderson and Kayla Gerken, as well as Landon Jumbeck, Karissa Harms, Jaden Klingenberg, Rebecca Krull, Whitney Groote, Caleb Terhark, Michaella Johnson and Solomon Johnson. The theme was “Denim & Diamonds.” Daily spirit themes were: PJ Day, TV Character Day, Vine/Meme Day and Class Color Day. 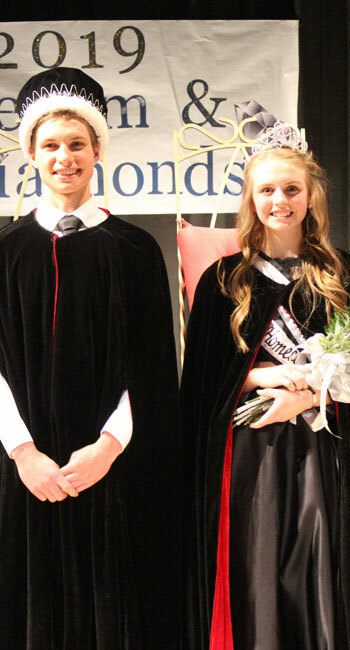 In addition to the Coronation, there were Homecoming games including a food-eating contest, obstacle course, basketball and dodgeball. We hope you had a good time and made great memories! G-LR Middle School language arts students are working on developing their writing skills. 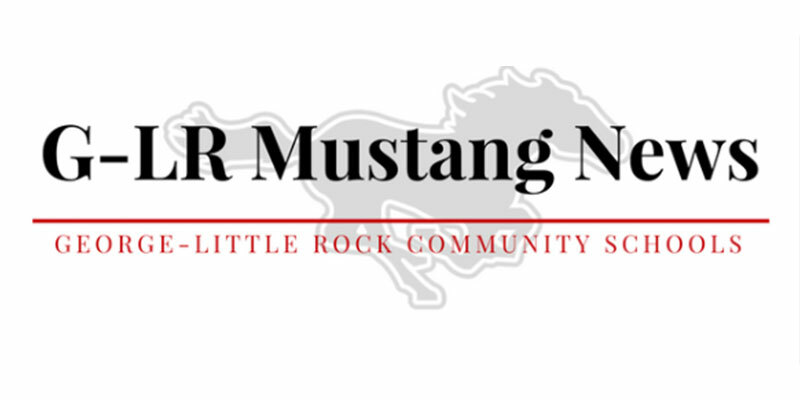 Students in Mrs. Mayer’s class have been writing articles every week to be placed in the Little Rock Free Lance newspaper. 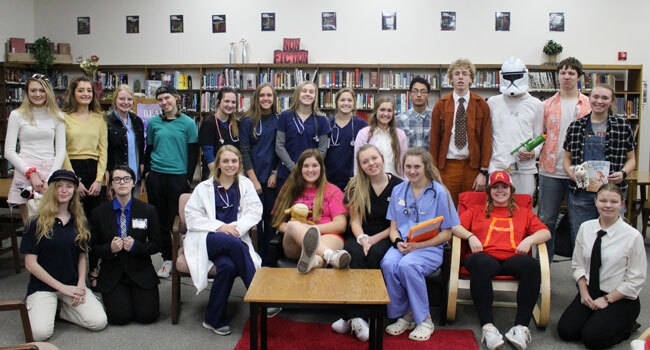 The editor visits the school nearly daily, and as a way to broaden students’ audience and writing skills, Mrs. Mayer wanted them to write updates for the newspaper. Often the articles are simple facts of what each grade is learning about in various classes. Sometimes students publish some of the short stories they are working on in class. 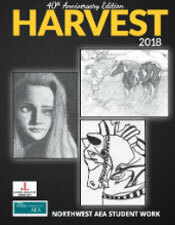 G-LR MS students are providing at least one narrative story and some are submitting artwork. Like anything, to become better at writing you must practice, practice, practice! 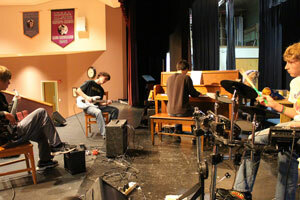 Thanks to Mrs. Mayer for increasing those student opportunities.